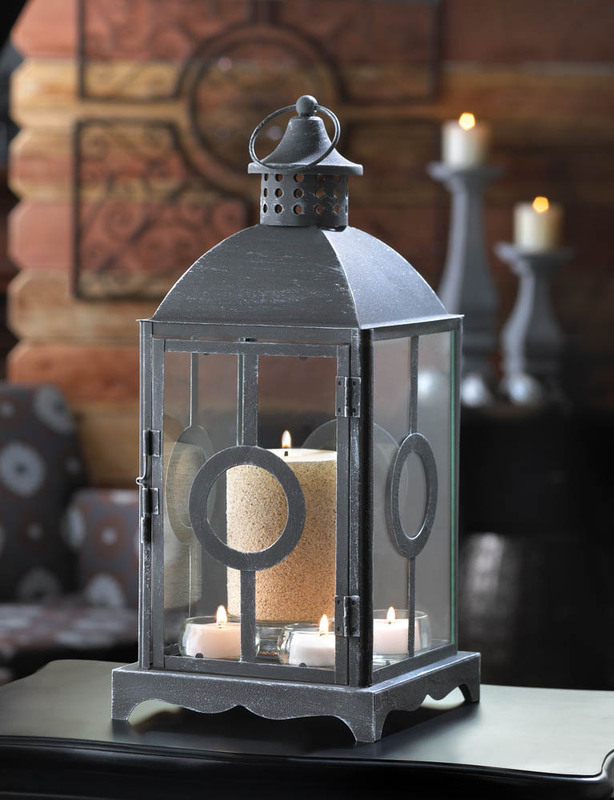 It features an antiqued pewter-like finish, clear glass panels adorned with a classic circle design, and cupola on top that has an oversized hanging loop attached. 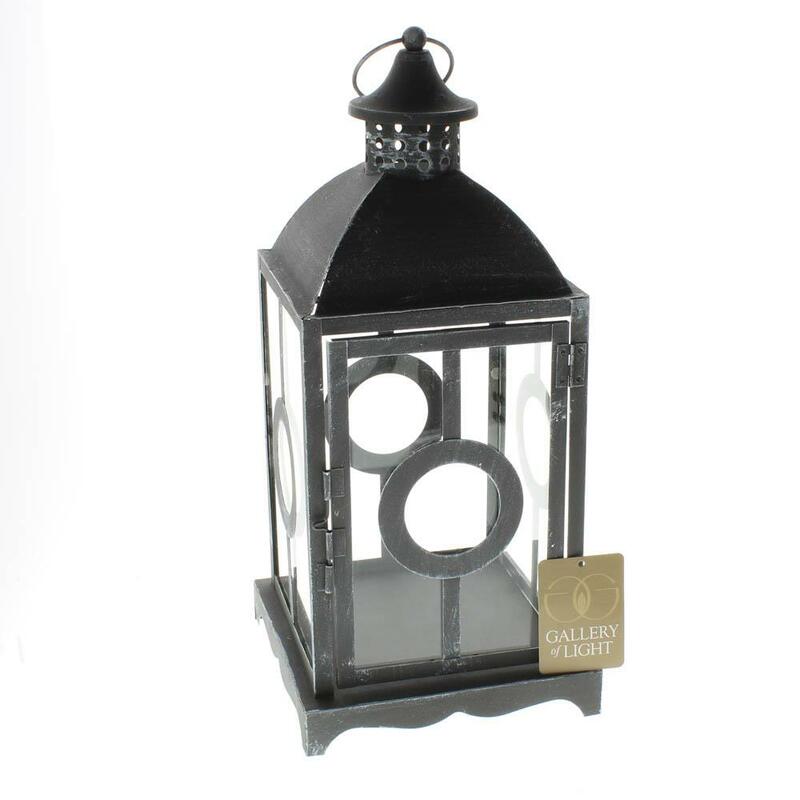 Insert the candle of your choice and bask in the beautiful glow from this handsome lantern. 7 7/8" x 7" x 14 3/4" high. Iron and glass.